Snap up one of these BOGO Billy Club sets quickly! These low-priced batons are a guaranteed sell out. You get two for one! Absolute bargain with bogo, ie, $5 each. Yes, it would work well for self defense (i slapped my hand not too hard but it tingled for 5 min). Knobs would make a welt for sure. Yes, great backscratcher, 3rd is muscle massager. I slap my shoulder to loosen up that super tight muscle. Those flexible rubber knob/ball type massagers are way more than $5 + not as sturdy. Plus, this "club" is perfect size for vehicle, just stick on floorboard next to seat. Very pleased. This"billy club"is a good buy for the money. 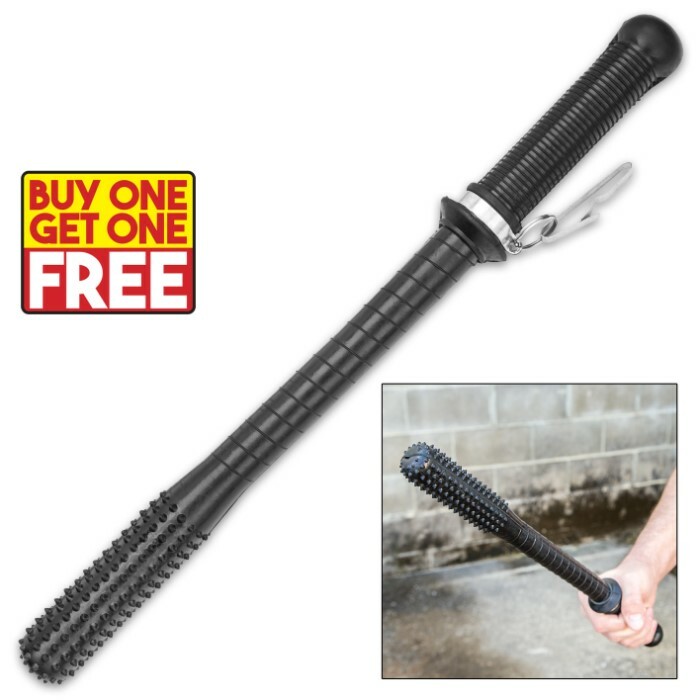 It's not really a billy club as such,but it would do the job for you in a pinch. Well I got the bogo on these. Yes they make great back scratchers.... Awesome back scratchers like a previuos reveiwer said. I would just be sittin' around my house with one of these and a friend would say WTF are you doing? Aww just scratchin' my back with the badboy be good stick! They are more a truncheon or sap then a billy club. 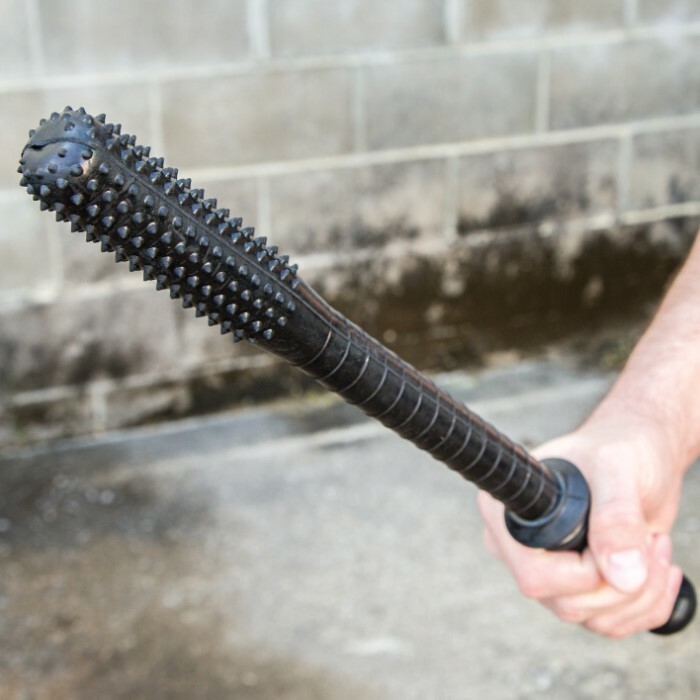 More like a sand filled rubber hose but could be supremely effective if you know where to aim with less chance of well you know,making some one really unhealthy. 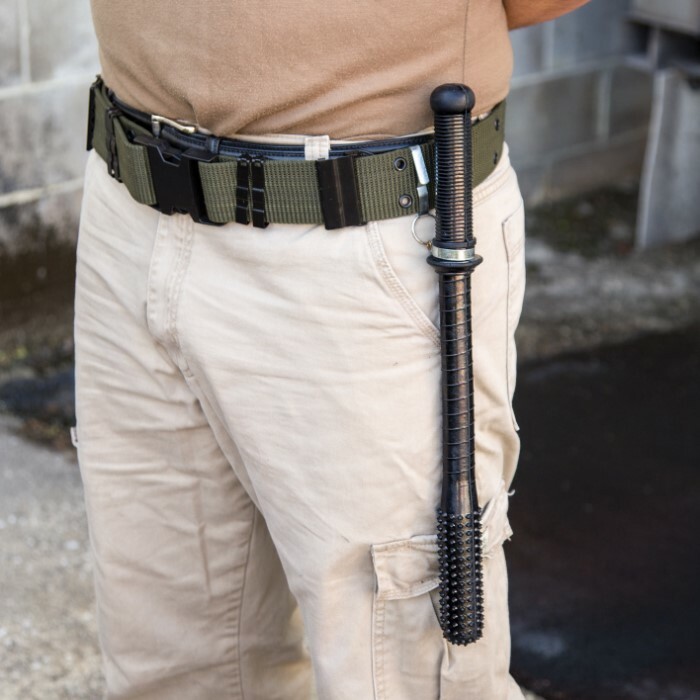 Safer than a steel baton. 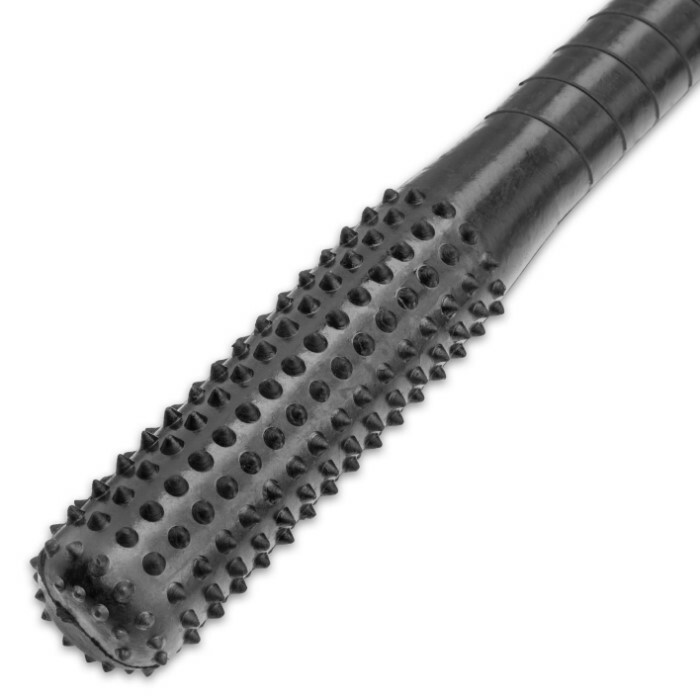 The spikes will tear up the skin though and due too the rubber build It is not a weapon you can block another weapon with. Generally though a good piece of equipment and worth the price. 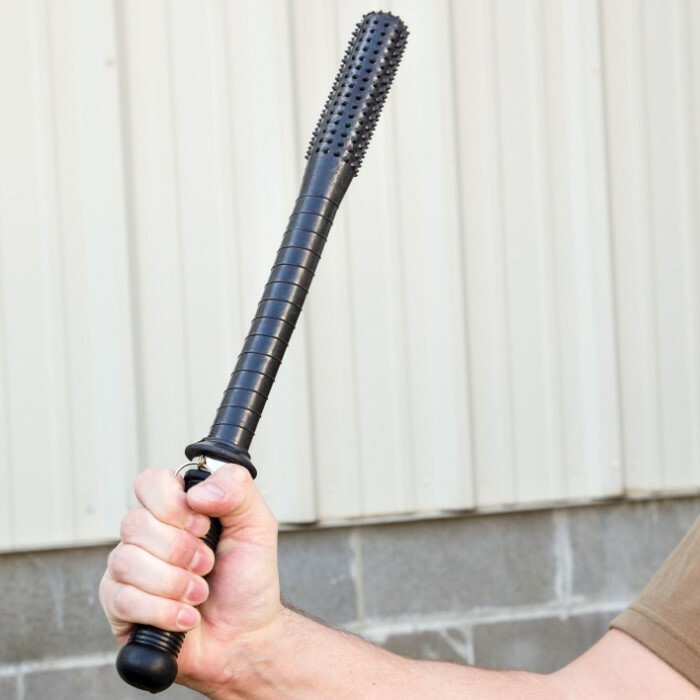 Different from what I expected, rubber baton with a flex an snap action. Sure it will do some damage on contact.